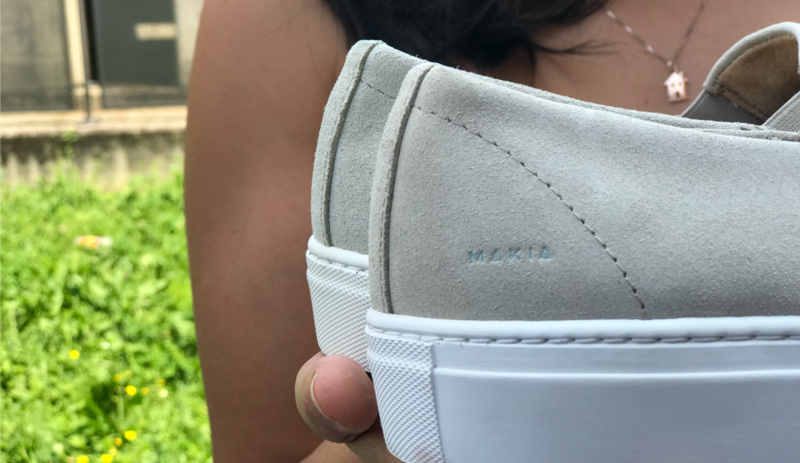 Makia is a lifestyle brand that does not limit its proposal to apparel but also to footwear. 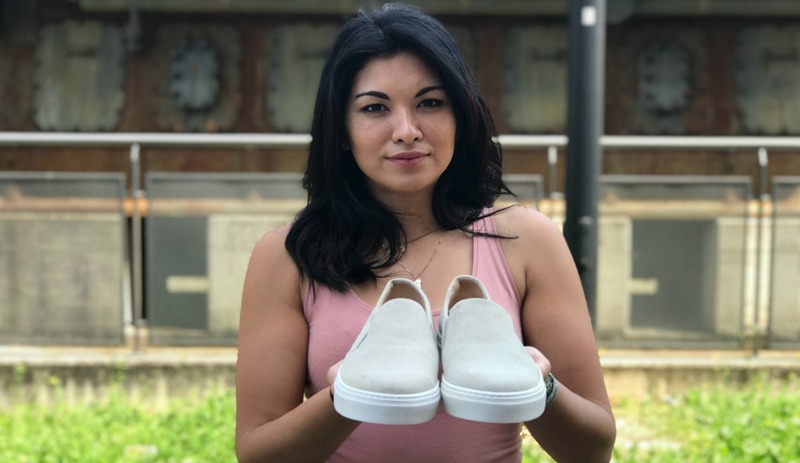 You might have forget it but one of the very first posts of The Maxiemillion about Makia involved sneakers. From the harbor of Monterosso in Helsinki the brand evolved exponentially and this lead to the creation, beside apparel, of a footwear range that includes from workwear inspired boots to wingtip shoes up to slip on styles. Think about it: I said here above, we are dealing with a lifestyle brand so in your life you may go for a walk in the countryside or to the marriage of a close friend or to the beach. Makia makes shoes for all these situations. We focus on the latter today, with this Boardwalk in the hands of Sally B. First and foremost you have to know that this is not your average made in China slip on. The Finnish brand wanted to keep the level of quality of this item high that is why it is made in Portugal, keeping things in the Old Continent. As far as materials, we are dealing with oiled suede and rubber. 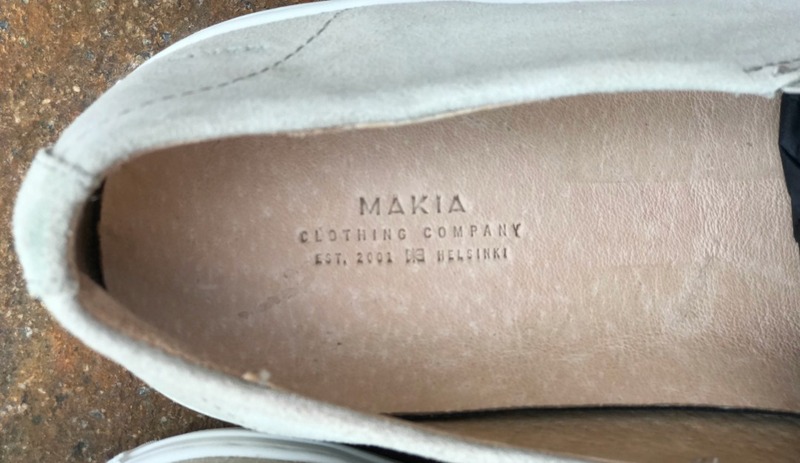 Its insole is covered in leather to last longer and the branding is minimal like Makia got us used to. Its rubber cupsole whose tread looks like it’s ready for a boat ride, after you reached the beach. 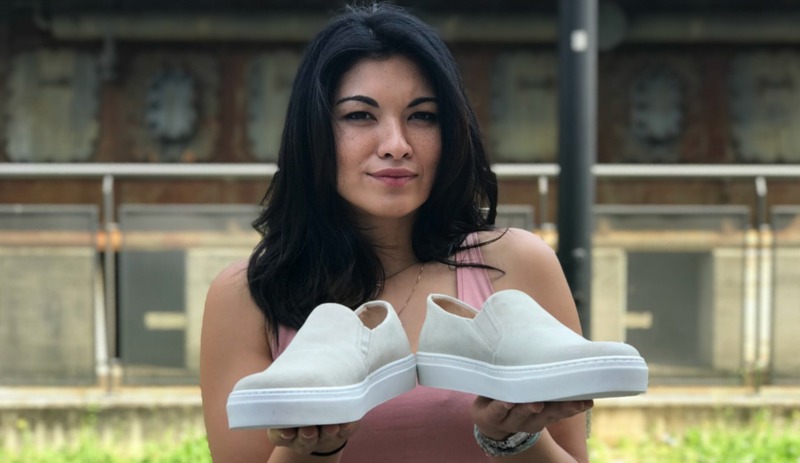 We are dealing with a shoe that just like most Makia items are here to set trends instead to follow them. 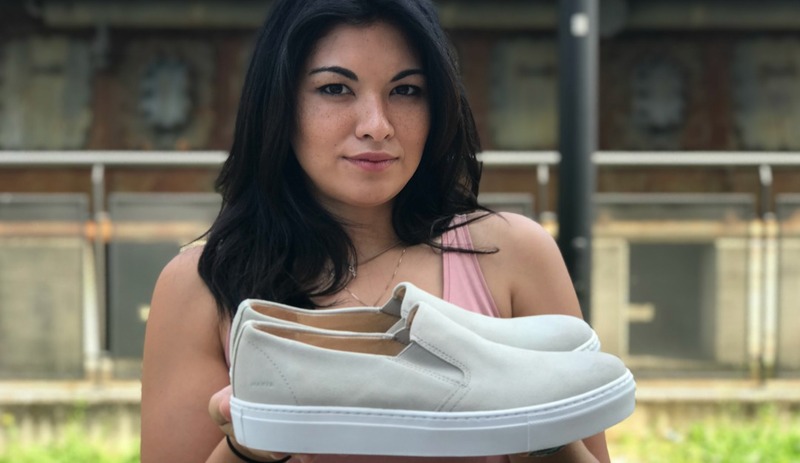 This, in relation to this footwear style, means that such a neutral color may be worn year after year, regardless of the fact that the color of the season will be teal blue or ochre yellow.